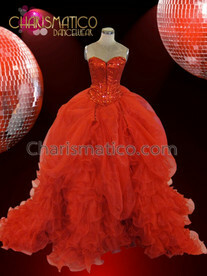 Everyone will have only one word to utter as they see a girl walk up to the stage in this mesmerizing piece of beauty, “wow”. 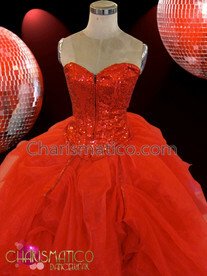 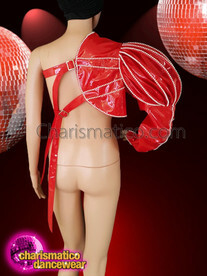 This Salsa dress is made out of candy red fabric and displays the intricate work of sequins in it. 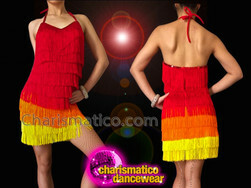 The side slit and fringes on the dress adds further more to the oomph factor.